Follow the fun on my Instagram! I’m setting myself a makeup challenge to do 100 looks which are all different and inspired by different things. They won’t be every day, but I’m going to try and be as active as possible! So far I’m on day 3, and I’m getting inspired by colours. 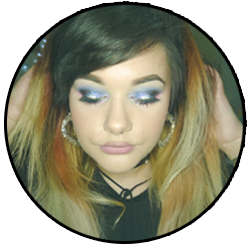 I’ve done a dramatic, basic and cut crease look so far. I’m going to look at my favourite artists, inspiration from my room and life, other people and try and get back into some special effects stuff too. Why not join in with the fun and follow my Instagram to see regular looks! Here are the 3 I have done so far over the past few days. 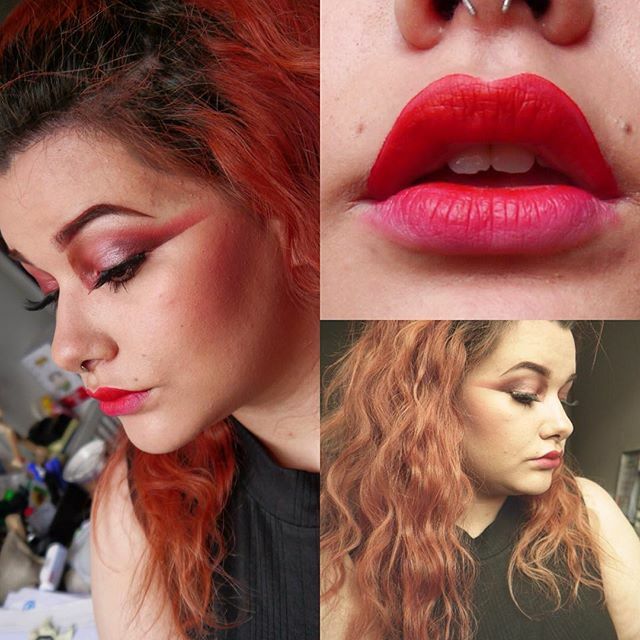 Day 1 was inspired by red, all contouring and brows were done with shades of red also. Day 2 was yellow, so I thought I’d do a wearable yellow look as I had places to go and things to do. 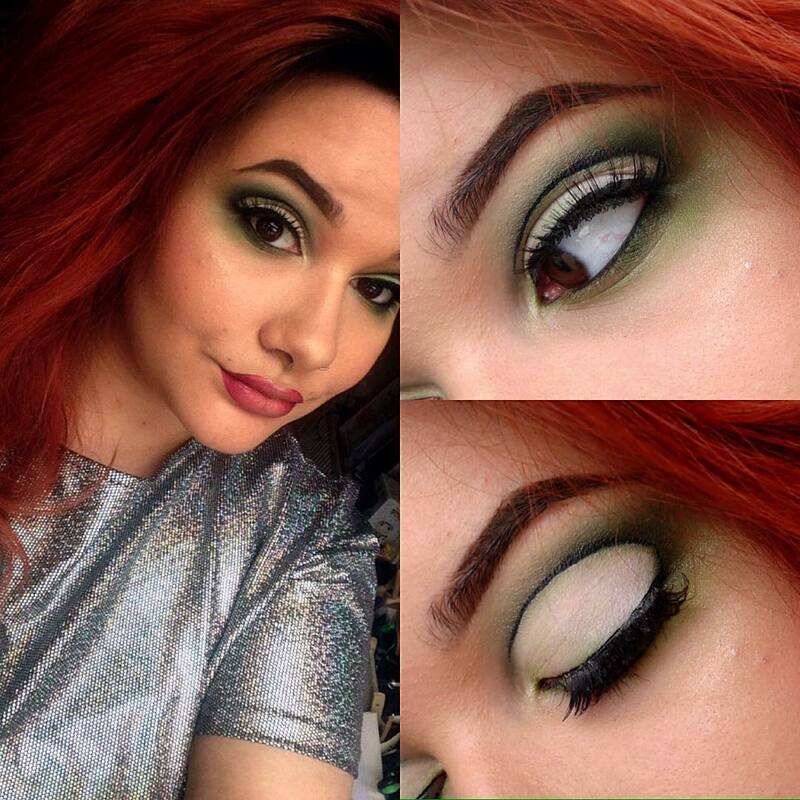 Day 3 was Green, so I decided to do a harsh cut crease with black liner, and green highlight on my cheek. So far I’m finding it really fun to do and it has helped me improve. I have already speeded up my brow routine and base from these three days of doing it! Wonder what is in store next! 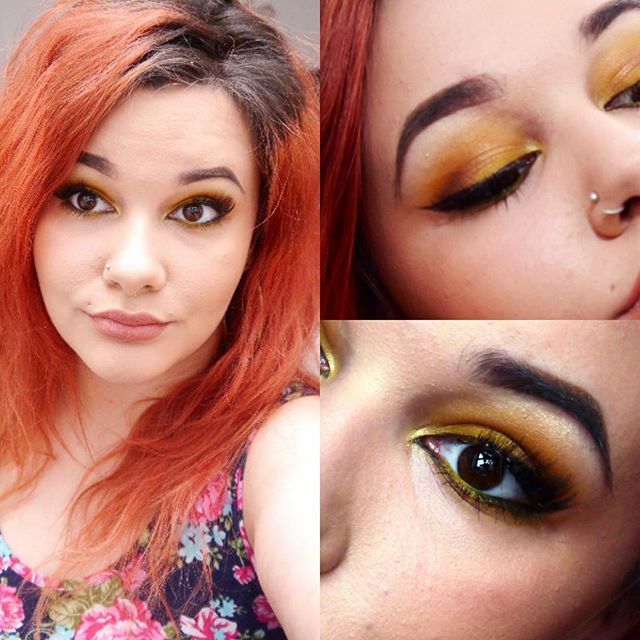 Posted on May 11, 2016 May 11, 2016 by sindyydollPosted in Life of Sindyydoll, Make Up LooksTagged bblog, bblogger, beauty blog, cut crease, Eyeliner, green eyeshadow, green makeup, instagram, instagram challenge, liner, make up challenge, Make Up Looks, mua, red eyeshadow, red makeup, ukblogger, yellow eyeshadow, yellow makeup.